Buddhist monasticism is one of the earliest surviving forms of organized monasticism in the history of religion. It is also one of the most fundamental institutions of Buddhism. Monks and nuns are considered to be responsible for the preservation and dissemination of the Buddha's teaching and the guidance of Buddhist lay people. Buddhism has no central authority, and therefore many different varieties of practice and philosophy have developed over its history, including among monastic communities, sometimes leading to schisms in the sangha. The information presented here, unless otherwise noted, characterises only certain Buddhist monks who follow the most strict regulations of the 'Southern Schools' tradition. The oldest existing set of texts concerning a Buddhist form of life are those of the Pāli Canon. Although no copy of these texts comes from the time of the Buddha, because of its relative age the Pāli Canon is used by some monastic communities to define their conduct and identity. In some schools of Buddhism, notably those lineages in South East Asia (Sri Lanka, Thailand, etc.) 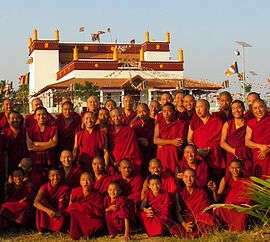 that compose Theravada, the Buddhist monastic community is theoretically divided into two assemblies, the male bhikkhu (Pali, Skt. bhikshu) assembly, and the female bhikkhuni (Skt. bhikshuni) assembly. According to some stories, although his followers initially consisted only of men, the Buddha recognized women as followers after his stepmother, Mahaprajapati, asked for and received permission to live as an ordained practitioner. Also the Buddha's disciple Ananda strongly insisted on including female order. Female monastic communities in the bhikkhuni lineage were never established in the Vajrayana communities of Tibet and Nepal; Theravada communities formerly existed, but died out between the 11th and 14th century. Ordination in the bhikkhuni lineage continues to exist among East Asian communities, and attempts have been made at a revival in Southeast Asia and Sri Lanka. Such divisions are more rarely made in the Northern schools, or in the West. Monks and nuns are expected to fulfill a variety of roles in the Buddhist community. First and foremost, they are expected to preserve the doctrine and discipline now known as Buddhism. 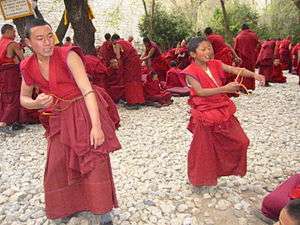 They are also expected to provide a living example for the laity, and to serve as a "field of merit" for lay followers, providing laymen and women with the opportunity to earn merit by giving gifts and support to the monks. In return for the support of the laity, monks and nuns are expected to live an austere life focused on the study of Buddhist doctrine, the practice of meditation, and the observance of good moral character. The relative degree of emphasis on meditation or study has often been debated in the Buddhist community. Many continued to keep a relationship with their original families. A Bhikkhu or Bhikkhuni first ordains as a Samanera (novice) for a year or more. There are some conditions which must be met in order to be allowed into Buddhist monaticism, such as age between 7 and 70 and haven't broken sīla in some manners when undertaking them. Male novices often ordain at a very young age, but generally no younger than 8. Women usually choose to ordain as adults, since there is no expectation that they do so in childhood. Samaneras live according to the Ten Precepts, but are not responsible for living by the full set of monastic rules, vinaya. Higher ordination, conferring the status of a full Bhikkhu or Bhikkhuni, is usually given only to those 20 or older. Women monastics follow a similar progression, but are required to live as Samaneras for a longer period of time, typically five years. In Thailand, monks are considered well supported by the community, and in return the monks offer guidance in life and in the Dharma. They can give the Bhikkhu or Bhikkhuni vows back and return to non-monastic living. According to the vinaya, the sangha should not accept a former Bhikkhuni to retake these vows, and for Bhikkhu up to taking three or seven times in a life. Breaking some important vinaya in manners according to the Vinaya Pitaka would not be accepted for monasticism again for a lifetime. In Burma, Taiwan and Hong Kong, there is sometimes short term monastic ordination available to lay buddhists to take some vows for a week up to month. In Thailand such arrangements are currently available for male only. Unlike Christian monastics, some schools of Buddhist monastics are not required to live a life of obedience to a superior. However, it is expected that monastics will offer respect to senior members of the Sangha (in Thai tradition, seniority is based on the number of rains retreats, vassas, that one has been ordained). The Buddha did not appoint a successor, nor did he specify rules mandating obedience in the monastic code. Individual groups of monastics are expected to make decisions collectively through regular gatherings of the community, at which decisions regarding violations of monastic rules and the dispositions of communal property are to be made. Individual relationships of teacher/student, senior/junior, and preceptor/trainee may be observed among groups of monastics, but there are no formal positions, nor is there any authority to give orders or commands invested in senior monks. An abbess or abbot, typically a senior monastic still young enough to be active, is usually responsible for the day-to-day administration of the monastery, and may appoint others to assist with the work. In some traditions, the abbess/abbot is chosen by a vote of the monastics in a monastery. In other traditions (Thailand, for example), the abbot is chosen by the lay community. Although there were a number of distinct vinaya traditions or ordination lineages, only three have survived to the present day: the Theravāda, Dharmaguptaka, Mūlasarvāstivāda. In Tibet, before the Communist invasion in the late 1940s and early 1950s, more than half of the country's male population was ordained. Today, this is no longer the case. While generally adhering to a Mahayana tradition that advocates the virtues of vegetarianism, Tibetan monks generally eat meat as a concession to climatic conditions that make a plant-based diet largely unfeasible. Tibetan monks follow the Mūlasarvāstivāda vinaya lineage. Lamas who take bhikṣu vows are not allowed to marry. The Nyingma school includes a mixture of bhikṣus and non-celibate ngakpas, and it is not unusual for lamas to wear robes closely resembling monastic garb despite them not being bhikṣus. Sakya school does not allow monks to get close to women after they have sons. Gelug school emphasized Vinaya ethics and monastic discipline; Choekyi Gyaltsen refused to wear monk clothing after he married. Kagyu monks are also required to return to non-monastic life to marry. Monastics in Japan are particularly exceptional in the Buddhist tradition because the monks and nuns can marry after receiving their higher ordination. This idea is said to be introduced by Saichō, the founder of the Tendai school, who preferred ordaining monks under the Bodhisattva vows rather than the traditional Vinaya. 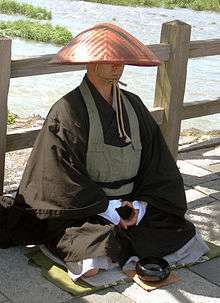 There had long been many instances of Jōdo Shinshū priests and priestesses marrying, influenced by the sect's founder Shinran, but it was not predominant until a government Nikujiku Saitai Law (肉食妻帯) was passed during the Meiji Restoration that monks or priests of any Buddhist sect are free to seek wives. This practice influenced Korea and Taiwan. A nun in Taiwan gave birth. Some Korean monks live with wives in their monasteries. Monks of some Chinese lay Buddhist sects may marry,  such as in historical Yunnan, Lingnan and Taiwan. In Sri Lanka, Thailand, Cambodia, Laos, and Myanmar, where the Theravada school is dominant, there is a long tradition of temporary ordination. During a school break, many young men usually ordain for a week or two to earn merit for loved ones and to gain knowledge of Buddhist teachings. In most countries, this temporary ordination occurs during the vassa retreat, which is regarded as a period of intensified spiritual effort by local Buddhists. Men in Thailand typically ordain only before being married; men in Laos and Myanmar could traditionally return to the monastery from time to time after being married, provided that they secured their wives' permission. 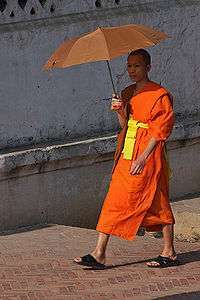 Theravada monks are also most likely to engage in traditional practices of collecting alms, although the urbanization of parts of Southeast Asian (particularly Thailand) has presented a challenge to this practice. ↑ "关于僧中授具足戒的"遮难"问题". Archived from the original on August 31, 2011. Retrieved 2011-11-29. ↑ 求度出家的條件 Archived January 24, 2012, at the Wayback Machine. ↑ "05-05《律制生活》p. 0064". Ddc.shengyen.org. Retrieved 2011-11-29. ↑ "受戒、舍戒及其他". Jiqun.com. Retrieved 2011-11-29. ↑ 最近读者 (2009-07-10). "男的许七次出家女的只许一次出家". Zaimitu.blog.163.com. Retrieved 2011-11-29. ↑ "律制生活-论舍戒与还俗". Zhihai.heshang.net. August 22, 2006. Archived from the original on September 5, 2011. Retrieved 2011-11-29. ↑ "女眾的出家次數". Gaya.org.tw. Archived from the original on October 9, 2011. Retrieved 2011-11-29. ↑ 整理：韵洁 (2008-12-17). "佛七：问与答（四）". Thanhsiang.org. Retrieved 2011-11-29. ↑ "泰國社團p2". Ge.tnua.edu.tw. Retrieved 2011-11-29. ↑ 佛的疑惑 Archived August 27, 2006, at the Wayback Machine. ↑ "宁玛派寺院的分布及影响". People's Daily. Archived from the original on September 16, 2011. Retrieved 2011-11-29. ↑ 敏珠林寺：在密宗修行场中寻获世俗的圆满 Archived July 17, 2012, at the Wayback Machine. ↑ "藏传佛教流派". Myfo.org. 2005-12-07. Archived from the original on July 27, 2011. Retrieved 2011-11-29. ↑ "第十世班禅女儿公主仁吉：我不能有负众望". News.66wz.com. Retrieved 2011-11-29. ↑ 藏傳佛教竹巴噶舉傳承 Archived December 27, 2013, at the Wayback Machine. ↑ "台灣直貢噶舉吉祥佛學會". Singaclub.tw. Archived from the original on March 4, 2012. Retrieved 2011-11-29. ↑ "農禪vs商禪" (in Chinese). Blog.udn.com. 2009-08-19. Retrieved 2011-11-29. ↑ "僧俗". 2007.tibetmagazine.net. Archived from the original on March 18, 2012. Retrieved 2011-11-29. ↑ "鐵鞋踏破心無礙 濁汗成泥意志堅——記山東博山正覺寺仁達法師". Hkbuddhist.org. Retrieved 2011-11-29. ↑ "五十年代——过渡、转型期的佛教（中）". Fjdh.com. Retrieved 2011-11-29. ↑ "中國僧史所載持午的實踐和面對的難題". Ccbs.ntu.edu.tw. Retrieved 2011-11-29. ↑ "有關持午及八關齋戒的問題". A112.com. Archived from the original on March 4, 2012. Retrieved 2011-11-29. ↑ "晨钟暮鼓-作者:冯修齐- 推荐热点精华贴". Foxue.org. Archived from the original on September 4, 2011. Retrieved 2011-11-29. ↑ 禅文化区 Archived March 26, 2012, at the Wayback Machine. ↑ 重庆慈云寺 Archived May 25, 2012, at the Wayback Machine. ↑ "明治5年第33號". .kcn.ne.jp. Retrieved 2011-11-29. ↑ "輸入統計に現れなかった羊たち". Geocities.co.jp. Retrieved 2011-11-29. ↑ "地涌144". Houonsha.co.jp. Retrieved 2011-11-29. ↑ "參學瑣談-听真華長老講故事(2–17)". Blog.wenxuecity.com. 2009-06-16. Archived from the original on September 29, 2011. Retrieved 2011-11-29. ↑ šĹ¸qĽŤŔsľŘˇ´żĽĂŚ¨ĽçşŮĄGĄu. "《鳴鼓集》反佛教破戒文學的創作與儒釋知識社群的衝突". Homepage19.seed.net.tw. Retrieved 2011-11-29. ↑ "親日仏教と韓国社会 （Pro-Japanese Buddhism and Korea Society）". Nichibun.ac.jp. Retrieved 2011-11-29. ↑ 戰後台灣尼僧之發展 Archived January 7, 2009, at the Wayback Machine. ↑ "第二章、台灣佛教的僧俗分別與政策變更" (PDF). Retrieved 2011-11-29. ↑ "出家入世 – 戰後台灣佛教女性僧侶生涯之變遷". Ccbs.ntu.edu.tw. Retrieved 2011-11-29. ↑ "白莲教和白云宗". Ttnews.zjol.com.cn. Retrieved 2011-11-29. ↑ (2009-03-09 22:08:27) (2009-03-09). "宋代和尚为何能娶妻生子?". Blog.sina.com.cn. Retrieved 2011-11-29. Buswell, Robert E., ed. (2004). Encyclopedia of Buddhism. Macmillan Reference USA. pp. 556–560. ISBN 0-02-865718-7. Wijayaratna, Mohan (1990). 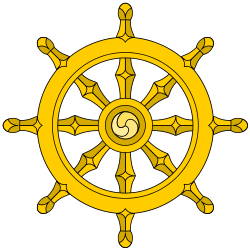 Buddhist Monastic Life: According to the Texts of the Theravada Tradition. Cambridge, UK: Cambridge University Press.